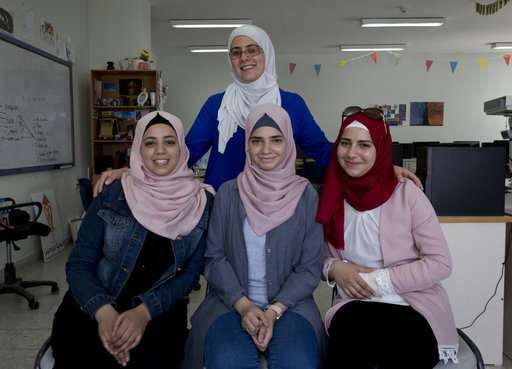 Four Palestinian high school friends are heading to California this week to pitch their mobile app about fire prevention to Silicon Valley's tech leaders, after winning a slot in the finals of a worldwide competition among more than 19,000 teenage girls. For the 11th graders from the Israeli-occupied West Bank, the ticket of admission to the World Pitch Summit signals a particularly dramatic leap. "We are excited to travel in a plane for the first time in our lives, meet new people and see a new world," said team member Wasan al-Sayed, 17. "We are excited to be in the most prestigious IT community in the world, Silicon Valley, where we can meet interesting people and see how the new world works." Twelve teams made it to the finals of the "Technovation Challenge" in San Jose, California, presenting apps that tackle problems in their communities. The Palestinian teens compete in the senior division against teams from Egypt, the United States, Mexico, India and Spain, for scholarships of up to $15,000. Palestinian Education Minister Sabri Saidam counts on technology—along with a new emphasis on vocational training—to overhaul Palestinian schools, where many students still learn by rote in crowded classrooms. Youth unemployment, particularly among university graduates, is a central problem across the Arab world, in part because of a demographic "youth bulge." Last year, unemployment among Palestinian college graduates under the age of 30 reached 56 percent, including 41 percent in the West Bank and 73 percent in the Gaza Strip, according to the Palestinian Central Bureau of Statistics. Saidam said Palestinian schools have received 15,000 computers in the last couple of years. His ministry has also established 54 bookless "smart schools" for grades one to six where students use laptops and learn by doing, including educational trips and involvement with their society. 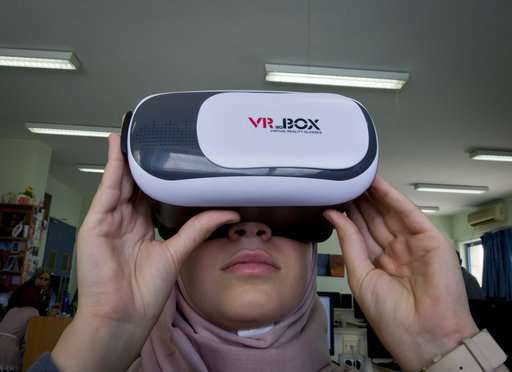 "Before this program, we had a vague idea about the future," said al-Sayed, speaking at a computer lab at An Najah University in her native Nablus, the West Bank's second largest city. "Now we have a clear idea. It helped us pick our path in life." The girls, friends since 10th grade, each had a laptop at home though, and worked with Yamama Shakaa, a local mentor provided by the competition organizers. The teens "did everything by themselves, with very few resources," said Shakaa. The team produced a virtual reality game, "Be a firefighter," to teach fire prevention skills. The subject is particularly relevant in some parts of the Palestinian territories, such as the Gaza Strip, where a border blockade by Israel and Egypt—imposed after the takeover of the Islamic militant group Hamas in 2007—has led to hours-long daily power cuts and the widespread use of candles and other potential fire hazards. "This prize has changed our lives," said al-Sayed.